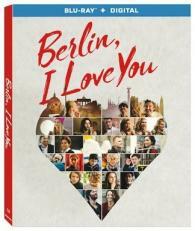 Berlin, I Love You takes a sweeping approach to the romantic comedy drama that brings to mind the charm of Love, Actually. Set in the titular city, this movie weaves together ten different stories of love, compassion, and romance that often intersect and offer a broad survey of the human experience. As the latest in the Cities of Love franchise, the formula should be comforting to fans of the existing movies in the canon while using the Berlin backdrop to create a setting that's lively, unique, and distinct from the film's predecessors.